Epiphytes, commonly called "air plants," flourish in the state of Florida. The large family of epiphytes includes bromeliads, lichens, orchids, certain cacti, succulents and a few fern varieties. 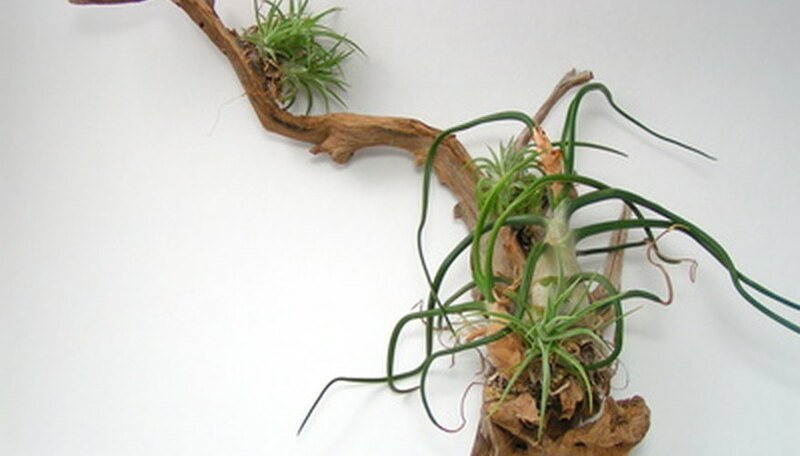 Epiphytes grow above ground on other plants with no or very little soil requirements. Their food and nutrients are produced entirely from photosynthesis and plant or leaf debris. They do not injure their host plant, and they consume water that falls from rain or irrigation. The staghorn fern (Platycerium) flourishes across Florida. The leaves of the plant are antler-like, and it easily grows 4 to 5 feet across. The basal fronds of the plant collect rainwater, leaf debris of other plants and other plant particles to provide nutrients. Foliar fronds of the plant are the reproductive organs that produce spores that form into smaller plant versions. There are 18 varieties of staghorn ferns and numerous hybrids, according to the University of Florida. Gardeners often mount staghorn ferns on large slabs of wood or wire baskets for ease of growth. Water once a week and fertilize once a month with a water-soluble fertilizer. The plant can be grown inside or outside in the ideal Florida climate. Place in partial shade. Cold protection may be required in central or north Florida when a cold snap hits. Spanish moss (Tillandsia usneoides) is an epiphytic often referred to as "Florida moss." The plant grows by wrapping stems around the branches of trees and the foliage is allowed to hang downward in order to catch water easily. The plant spreads from tiny seeds transferred by the wind or birds. Songbirds also use the plant material for nesting. Throughout history, Spanish moss has been used for a wide variety of purposes such as packing material, mattress stuffing, upholstery stuffing and even house insulation. Many people who handle Spanish moss suffer from a rash, but this is from the tiny insects that reside within the leaves--chiggers and redbugs often bite unsuspecting humans. The Florida strap airplant (Catopsis floribunda) is a carnivorous bromeliad. The plant is one of only two known bromeliads that are carnivorous and consume insects for nutrients, according to the University of Florida. The plant utilizes its powdery surface to trap insects and prevent their escape. The Mexican bromeliad weevil, which has invaded the state, has placed the Florida strap airplant on the endangered list because of its voracious feeding habits. Its occurrence in wild regions of the state is becoming quite rare. Tiny flowers are produced all year on green powdery foliage. The average size of the plant is approximately 51 inches. The leatherleaf airplant (Tillandsia variabilis) is seriously threatened by illegal human collecting and also the Mexican bromeliad weevil. 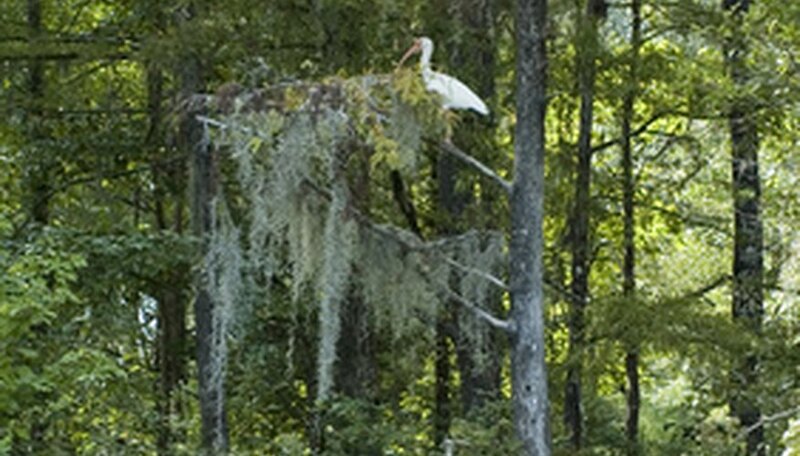 The plant flourishes in shaded areas and even grows well on cypress trees in the swamps. It's a tank epiphyte that easily collects water and nutrients within its interior. The plant's foliage is green and soft to the touch. Red spears of flowers are produced with lilac petals from spring to fall.